This week I'm driving a 2019 Lincoln Nautilus, which is the reinvented and much improved version of the former Lincoln MKX. Why it matters: We should first applaud Lincoln's decision to ditch those alphabet-soup model names that every other luxury maker seems to favor. Next month at the New York auto show, it will introduce the compact Corsair — adding to its lineup of properly named crossovers: Aviator, Nautilus and Navigator. What's new: Besides its name and two new turbocharged engine choices, every Nautilus comes with standard Lincoln Co-Pilot360, which bundles popular, advanced driver-assist features that were previously available only as separate options. The system includes automatic emergency braking, blind-spot monitoring, and a lane keeping system that can nudge you back into your lane. 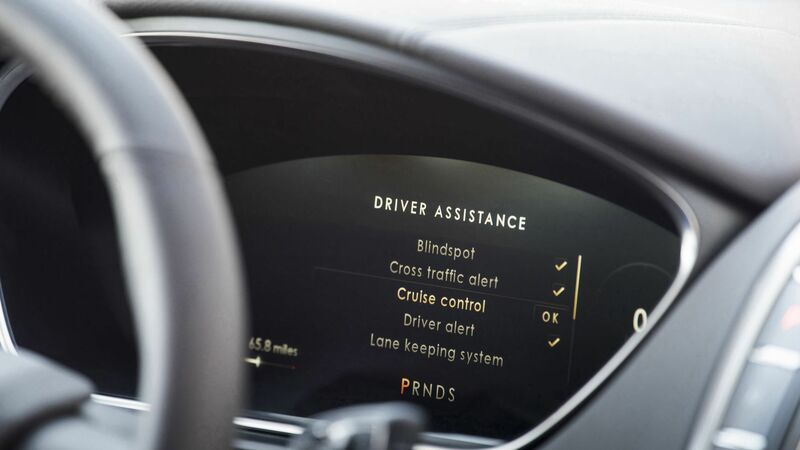 The lane-keeping system, which works above 40 mph, can be customized to provide an alert (low, normal or high), steering aid or a combination of the two. The Nautilus is also available with evasive steering assist to help swerve around an obstacle if braking isn't enough. Lane-centering technology, which detects lane markings on the road to help keep the vehicle centered, is also available. When used with adaptive cruise control, drivers can set a desired speed and distance between themselves and the vehicle ahead. My thought bubble: Lincoln's lane-centering technology is not a hands-off highway system, though. Every time I tried to relax with the system engaged, I got various warnings to make sure my hands were on the wheel. The bottom line: The Nautilus is a luxurious and capable competitor in a crowded midsize luxury crossover market.